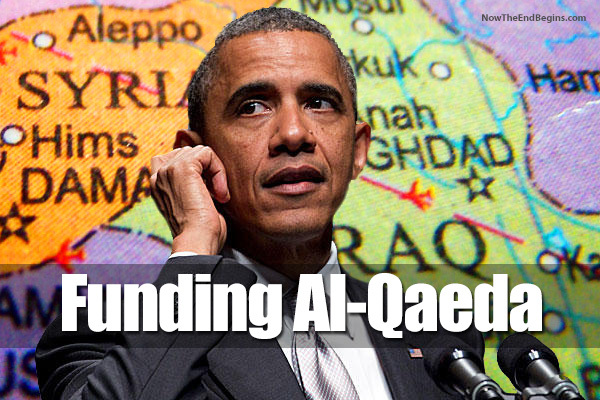 Since 9-11 and before, al Qaeda has been the sworn and declared enemy of the United States. Obama has waived the ban on arming terrorists and is openly arming the Syrian Rebels who are composed of al Qaeda and the Muslim Brotherhood. He is justifying the Benghazi atrocity and those deaths by doing this. He is seeking cover for arming radicals out of Libya. Barack Obama is actively giving aid and comfort to our enemies and is guilty of high crimes and misdemeanors. In other words, treason. “He’s taking guns away from the people while giving guns to Al-Qaeda. What else do you need for impeachment?” he added. Despite the numerous red flags – including Elibiary’s successful efforts to have certain explanations of radical Islam purged from the training documents for members of the military and intelligence community – it seems Elbiary just received a promotion. Beck concluded by strongly urging viewers enough to watch Gaffney’s entire course on the Muslim Brotherhood at MuslimBrotherhoodInAmerica.com.